Security, privacy, protection from the elements or a simple boundary. Boundary protection provided by Peak Fencing can be a simple picket fence or high grade steel fencing and gating with British Standard security locks. Steel or wooden rail fencing to let the sun through and allow an apreciation of the view beyond or solid concrete or wood panels for privacy. contact us now for a free quotation for your fencing needs. Vertical board fencing is a robust screen type of fencing that can provide privacy and lends itself to variations in ground level. With a versatility which allows the fence to slope with the contours of the ground, this type of fencing is ideal for sloped gardens. 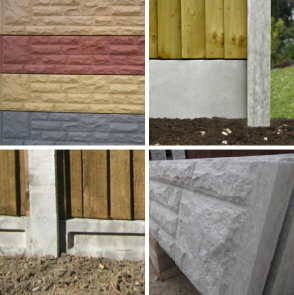 Vertical board panels are fitted between vertical posts and are ideal for level areas and non-sloping ground. Again this type of fencing provides privacy screening and are apex capped. 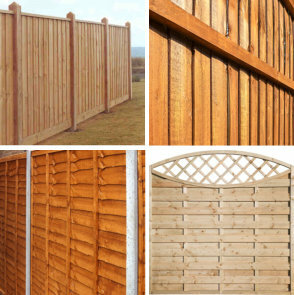 Yorkshire boards provide a more open fencing, allowing air to circulate through the fence and allowing light to pass through. Suitable for where privacy is not a concern yet a light and airy feel to the space is important. 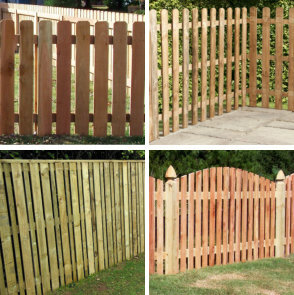 Overlap fencing is supplied in panels fixed to either timber or concrete posts. Overlap fencing provides privacy and different styles such as Forest Lap, Waney Lap and Vertilap are available to suit the design of your garden. Provided in ornamental, arched or plain flat tops. The panels are made from high quality timber and are pressure or dip treated to resist the ravages of the weather. FSC certified and guaranteed for 10 years. Gravel boards provide protection for fence panels preventing water ingress and rot by separating the fence panel from the ground. They also add height to your border to give added privacy. Available in steel, concerete and treated timber, they are maintenance free, hard wearing, long lasting and come in a variety of styles, textures and colours. They save you money by protecting your more expensive fence panels from ground contact and water absorbtion. 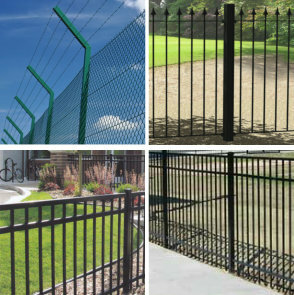 Strong and versatile metal railings provide an ornate way to delineate domestic boundaries or an imposing way to deter ingress to high security sites. Many designs are available to suit your home or commercial premises from decorative and pretty styles to the imposing and purely functional. 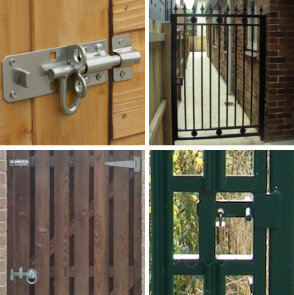 All our metal railings can be provided with matching gateways locks and accessories. We can supply painted, raw metal or powder coated railings. Powder coated railings will resist UV and water ingress providing an exceptionally long life time. Solid and robust pedestrian and vehicle security gates, metal or treated timber, painted or plain or powder coated metal. Securing your property from unwanted intruders, providing both privacy and peace of mind. All security gates are provided with matching accessories, bolts, hinges and locks. They are securely and professionaly fitted with your security in mind.